Kurt W. Drescher is Pastor of Stewardship. A graduate of Gordon College, Kurt spent more than 20 years as an account representative and marketing executive in the graphic arts industry. Much of his work was with clients in the fields of higher education and other non-profits. 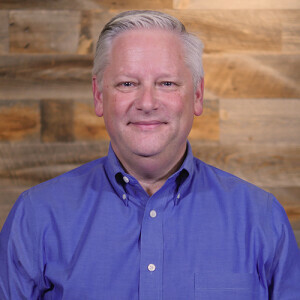 Prior to joining the staff at Grace Chapel he served as Vice President of Advancement at Gordon-Conwell Theological Seminary for nine years overseeing all institutional fundraising and communications efforts for the seminary. Kurt has been an active member of Grace Chapel for more than 25 years. As a volunteer, he has served three terms as an overseeing elder and has been a member of a number of ministry teams including the Life Community Ministry Team and multiple capital campaign teams. He co-chaired WinterBlast five consecutive years in a row and presently serves on the leadership, prayer and usher teams on the Wilmington campus. Kurt and his wife Sharon live in Reading. They have two adult daughters and one son-in-law.